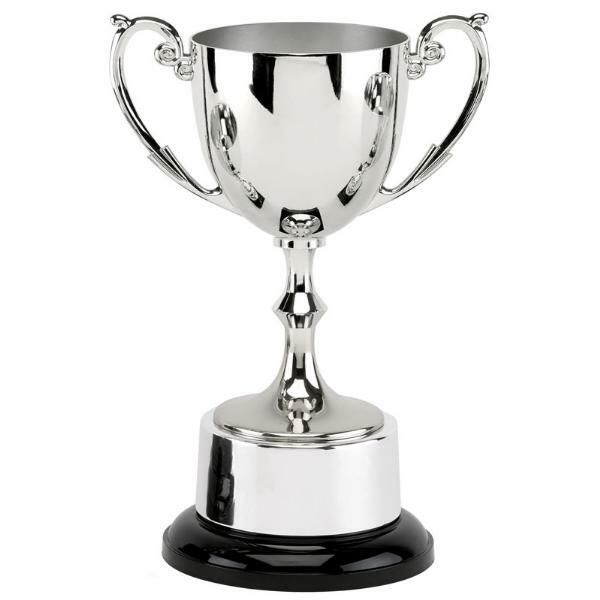 The engraved Recognition Cup is 19.5cm high, but is also available in larger sizes of 23cm, 26cm, 30cm and 35.5cm. It is a cast nickel plated metal cup, complete with an integrated metal plinth for engraving.Up to 50 characters engraving is included in the price of the nickel plated recognition cup, and additional characters may be engraved at a cost of 15p/letter. The engraved Recognition Cast Cup is postage band B.